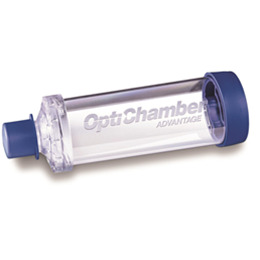 OptiChamber Advantage Valved Holding Chamber helps your patients get the best part of their asthma inhaler medication in the most efficient way. With optimal performance and optimal value, OptiChamber Advantage gives you and your patients the advantage in metered dose inhaler therapy. And OptiChamber Advantage is an ideal pediatric chamber that easily adapts to all patient needs. Multi-sized Pediatric Masks attach directly to the mouthpiece for superior fit and comfort when assisting infants and small children with inhaler medications. 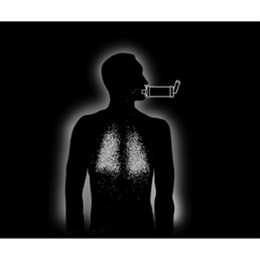 When no longer needed, the masks can be removed for optimal drug delivery without buying a new chamber. OptiChamber Advantge’s replaceable low-resistance valve is sensitive enough to respond to the lowest of pediatric flow rates. 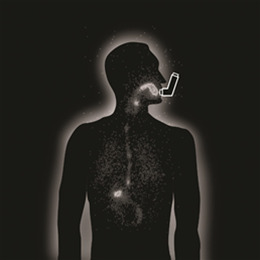 And its MDI adapter accommodates all CFC and HFA inhalers, making OptiChamber Advantage the most versatile and cost-effective product of its kind.